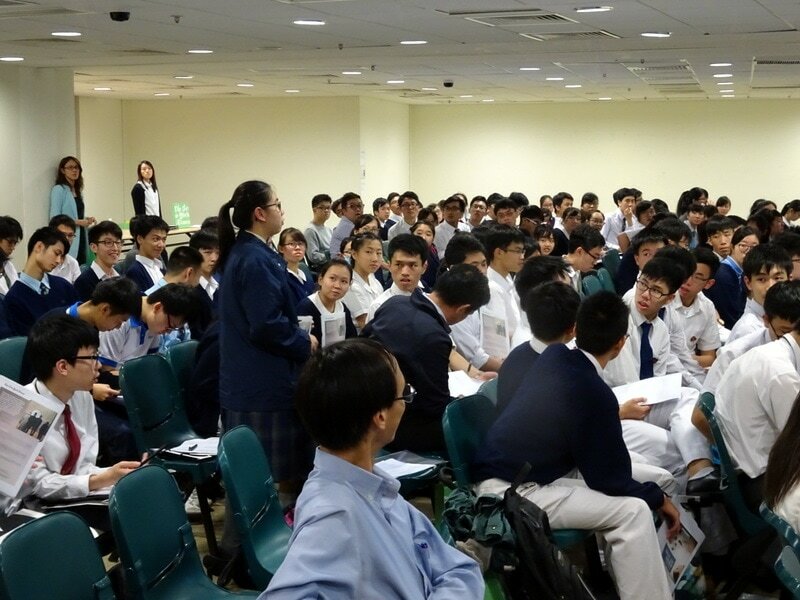 HKSSDC provides a wide range of debating and public speaking workshops each year. 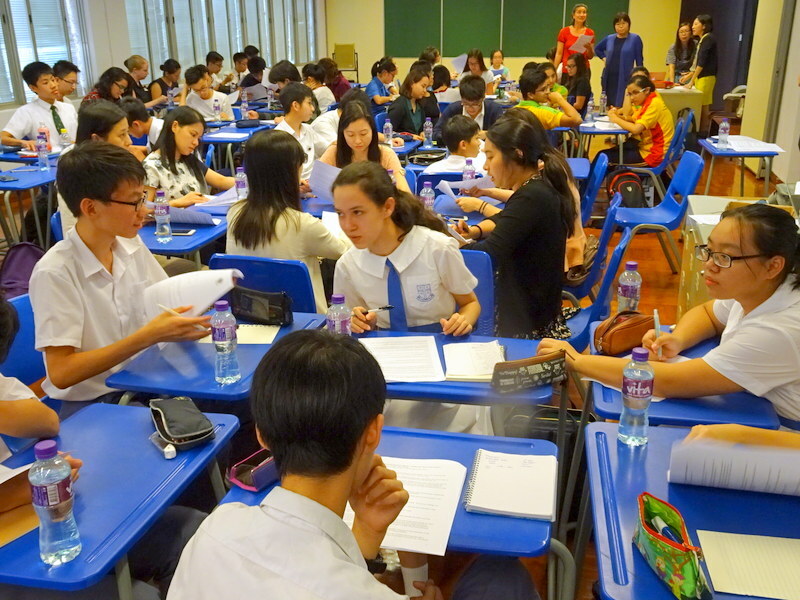 Once teams join the Competition, they can sign up for the most appropriate activities on our training calendar. 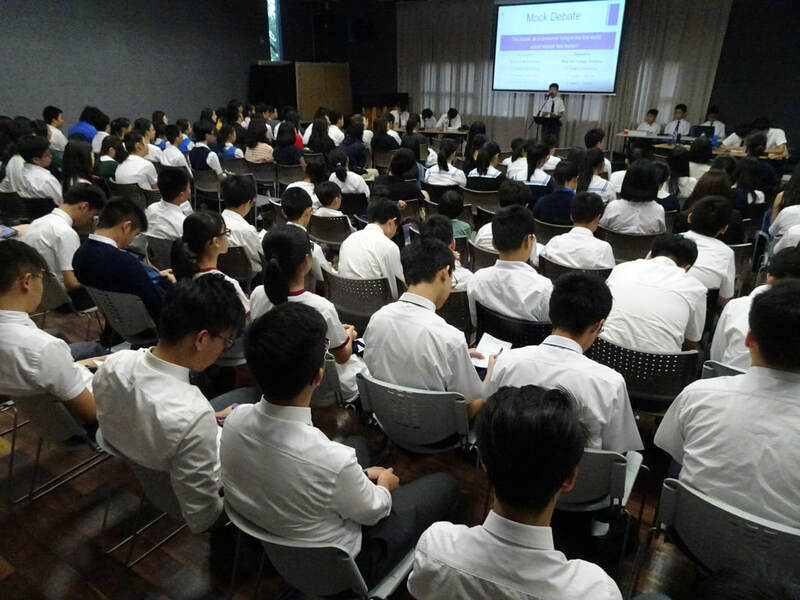 In the last 4 years, participant numbers have grown from around 900 a year to about 1,500 per year in the roughly 14 HKSSDC workshops, some with live debates, for primary and secondary students and teachers held annually. 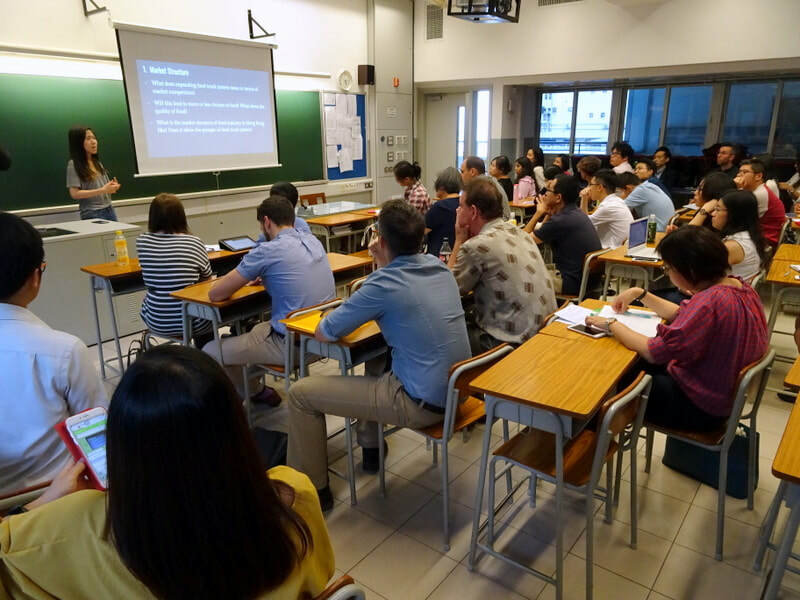 To get an idea of the range of debate training conducted, have a look at pictures from some of the recent workshops below. 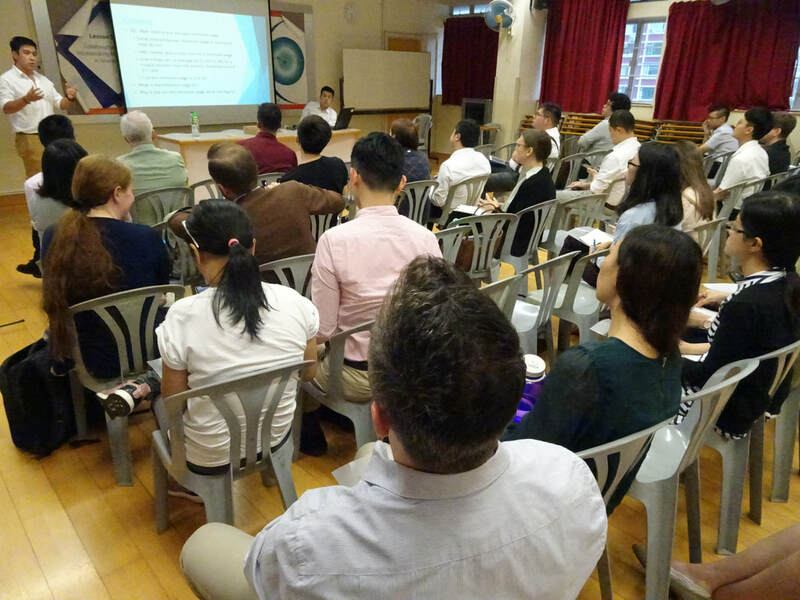 Part of the Round 1 Motion Analysis Workshop for Secondary Debating Coaches at Tack Ching Girls' Secondary School on 15 September 2017 with debate trainers Yuetka Wong and Sabrina Cheng from HKU's Debating Team. 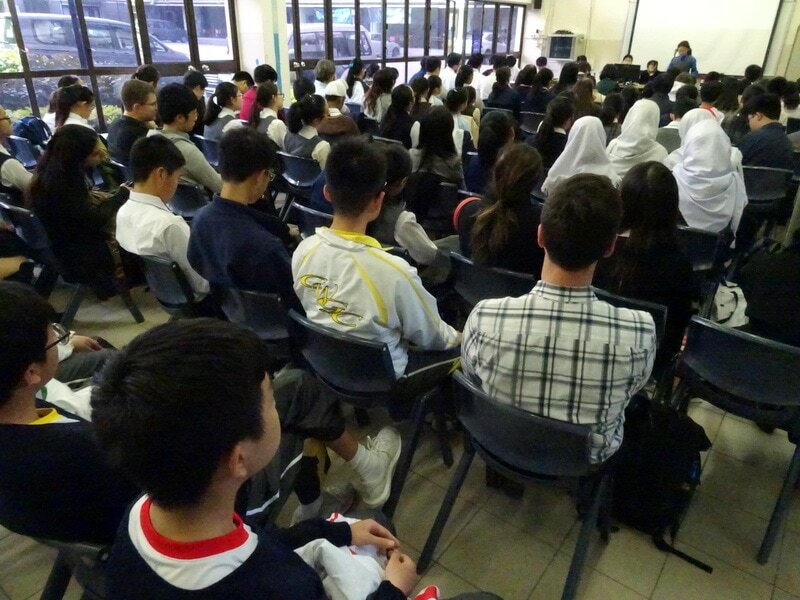 Live demonstration debate at New Teams Workshop for 120 teachers and students on 17 February 2017 at Wah Yan College Kowloon. 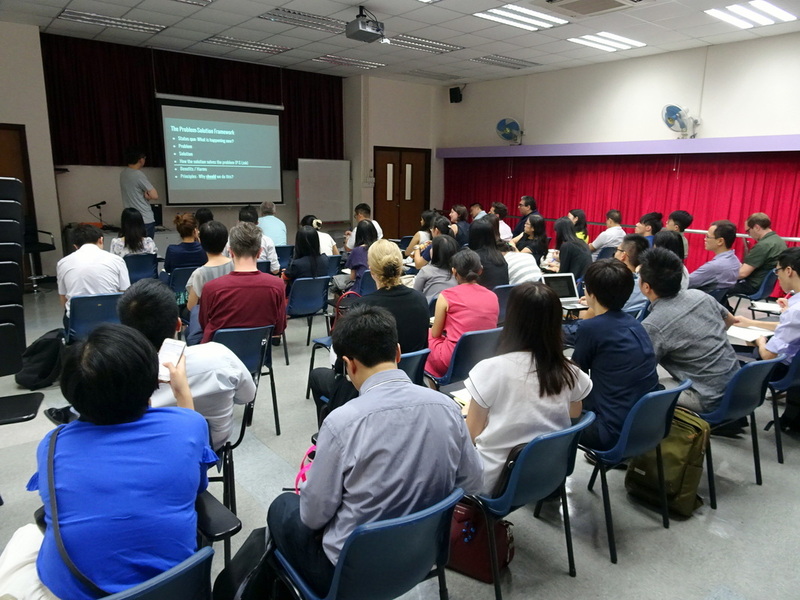 ​Mandy Lam from New York Times explaining how to use the NYT website to get better analysis of international current events at the 23 November seminar. 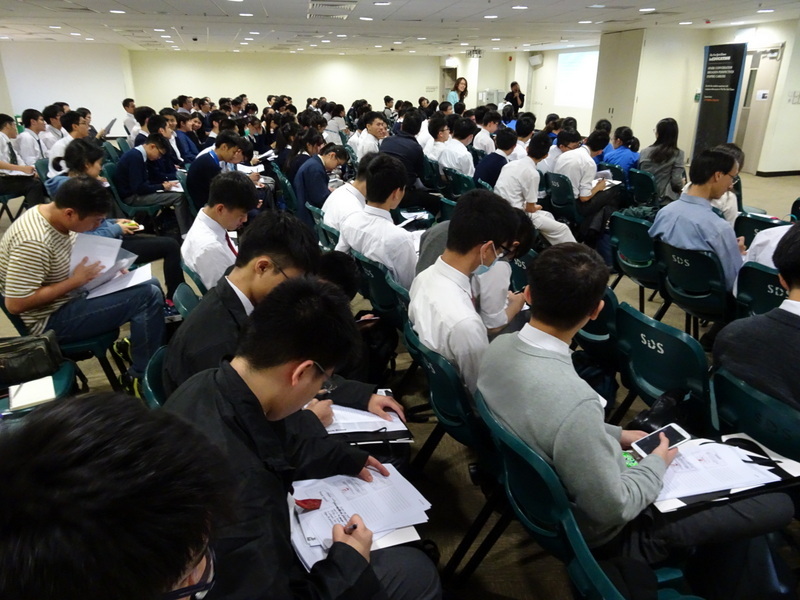 Oxford Union Debater, international debate trainer and HKSDPSC Chief adjudicator, Brian Wong takes students through the workshop on Structure and Adjudication at PLK Laws Foundation College in Tseung Kwan O on 9 December 2015.